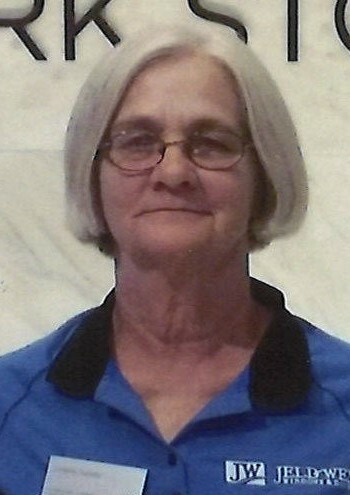 Danville – Sandy passed away at her residence on Tuesday March 26, 2019 in the loving care of her family and Hospice of Knox County. She was born February 23, 1954 in Chillicothe. She was the daughter of Earnest Gail and Ruth E. (Jones) Kidwell, who both preceded her in death along with her aunt, Betty Jones, cousins, Louise, Tommy, and Ricky, and her mother and father-in-law, Bob and Donna Tucker. Sandy loved to golf barefoot, and traveling to Georgia, Alabama, and Panama City Beach. She worked for 30 years at Jeld-Wen, and also worked at the Gallagher Center. She is survived by her son, Garrett Tucker, and daughter, Jennifer Tucker (Corey Pifer) both of Danville, her grandchildren, Garrison Tucker, Trista Wilson, and Maxwell Pifer, her sister, Mary Ferenbaugh, and niece, Kelly Ferenbaugh (Jason Price) both of Danville, her nephew, Jamie (Kelly) Ferenbaugh of Walhonding, her former husband, Gary Tucker, and her “adopted children”, Tim Martin, Tyler Renner, Seth Sapp, Joey Sines, Rhonda Hood – Carter, and Rachel Conner, along with several other great nieces and nephews. Memorial donations can be made to Visions of Fellowship Ministry in care of Pastor George Grennell, 20 Ash St. Mount Vernon, 43050, or Hospice of Knox County, 17700 Coshocton Ave. Mount Vernon, 43050. No services will take place. The Fischer Funeral Home in Danville is handling arrangements. Condolences can be shared with the family on her obituary page at fischerfuneralhome.com.